What are the rules for booking an ‘open jaw’ redemption using Avios? I occasionally gets emails from readers who have had issues getting British Airways telephone agents to book an ‘open jaw’ flight using a British Airways American Express 2-4-1 voucher. I thought it was worth running over the rules on this as others will find this useful. An ‘open jaw’ is a flight where you start your return flight from a different destination to your outbound. This does not mean a different airport in the same city (eg New York JFK and New York Newark) but a different city entirely. One common use would be, for example, flying to San Francisco and flying back from Las Vegas, with a one-way car rental. The British Airways online booking system does NOT let you book open jaw reward flights using Avios points. Usually, this is not a problem. British Airways is happy to let you book one-way tickets, so you would simply book your trip as two single journeys. Fuel surcharge – BA charges higher fuel surcharges for flights originating in some countries outside the UK, in particular the US. You may find that the tax charge for 2 x one-way flights is higher than booking a return. To book an Avios reward in either of these scenarios, you need to ring British Airways. Usually this is not a problem. However, you may have problems convincing the agent to do it if your return flight departs from a different country. For clarity, here are the rules relating to open jaw bookings. Unfortunately, they are not written down anywhere public as far as I can tell. 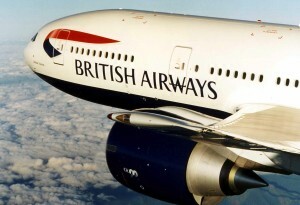 Before the November 2011 changes which brought in Avios – in case you get an agent who still quotes this as the current rule – an open jaw needed to be based in the same BA Miles pricing zone. All of North America was lumped together, for example, so flying into San Francisco and out of Vancouver was OK. However, flying into San Francisco and back from Tokyo was NOT OK. Tokyo was in a different zone. Since 2011, the open jaw rules have been relaxed. This is how it works. The geographic distance between your original landing airport and your new departure airport must be SHORTER than either of the two flights. Using a European example, you could NOT book London to Madrid and fly back Helsinki to London. This is because Madrid to Helsinki is further than either of the flights. Using my earlier example, you CAN fly out London-San Francisco (5367 miles) and back Tokyo-London (5974 miles), because both of those flights are longer than the distance between San Francisco and Tokyo (5124 miles). There is one other quirk. Once an open jaw is booked, you cannot amend it if it means a change to the Avios required, ie if you move into a different Avios pricing zone. You cannot, for example, change an open jaw ‘London-Paris-[surface]-Hamburg-London’ to ‘London-Paris-[surface]-Istanbul-London’ as Hamburg and Istanbul are in different Avios pricing zones. The whole ticket must be cancelled with the risk that you cannot rebook the leg you want to keep. It is very rare that you would find yourself in this position however. So now you know. If you get a BA agent who does not understand this, ask for a supervisor or simply call again. Can you convert Nectar points into Avios? Fortunately added my return leg this morning without being charged a fee. This was, however, adding a return leg to an online-booked outbound, did you book your entire trip over the phone? FWIW I understand the policy is that they will waive the fee if your booking should be possible online, but by some failing isn’t. Open jaws are not a website function for redemptions, so it isn’t normally waived, but you might get lucky. Adding a return to a 241 (initially out of date range) is a special case whether it’s an open jaw or not. I just called the USA call centre 30 minutes before 1am BST, before they released avios tickets for 355 days from today. Not only did the agent reserve the seats for me in first class (they would just release two, and she pre-booked them for me), but she also allowed the open-jaw ticket spanning the USA and Canada. She confirmed that I could then call in 30 minutes once the avios tickets were released, and I can then make the payment (avios + taxes) but that the tickets were absolutely saved for me. Amazing! Does anyone have a link to a list of interesting open jaws you can do with a 2-4-1 voucher? Just for inspiration! I think probably most of my longhaul 241s have been open jaws. Same here, we do most of our 2-4-1 long haul redemptions open jaw. We invariably book the outbound leg online, and then add (with no phone charges) the return leg as soon as it becomes available. Last year, out to PHX, back from SAN, just done a JNB/CPT trip and just booked a YYC/YVR trip for next year. You have to take a chance that you might not get availability back from your first choice return airport (hence SAN rather than LAX) but it usually works.